In the fifties and sixties there was still a huge secrecy in the Soviet Union. They separated the training of pilots from the Warsaw Pact countries and pilots from the third world countries. 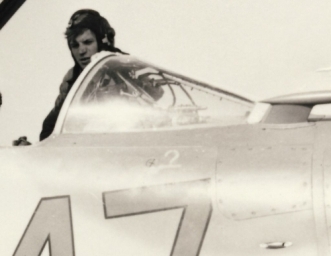 Retraining for the new MiG-21 Fishbed fighters took place at two separate regiments in the sixties. 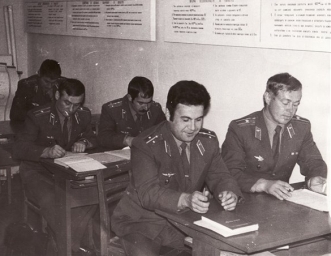 The Warsaw Pact pilots were retrained in the school at Krasnodar, while pilots and other crews from the third world and friendly countries were trained in the 5th Training Center at Frunze. 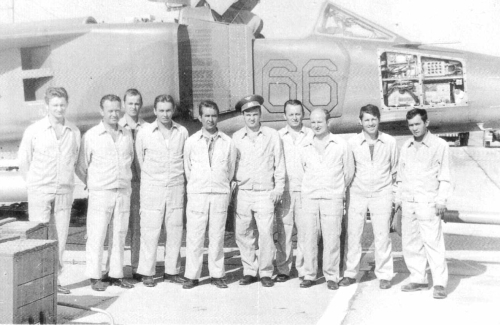 At the 715th Air Training Regiment pilots from Finland, India, Egypt, Syria, Iraq and Algeria have received retraining in the sixties. 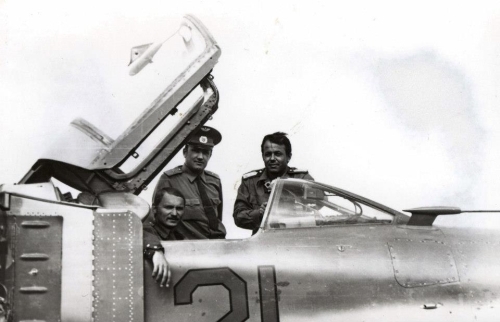 The first squadron of the regiment used MiG-17 Fresco, the second squadron used MiG-21F Fishbed-B and MiG-21F-13 Fishbed-C in the first half of the sixties. 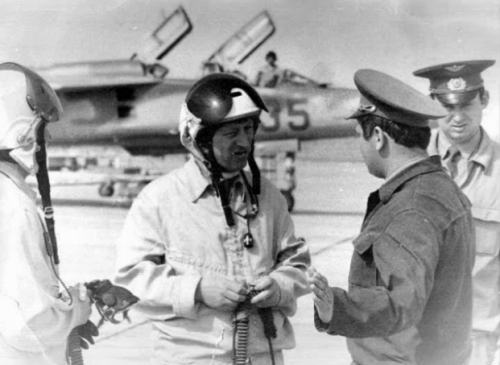 First they practised the martial procedures on MiG-17 Fresco type, later they received retraining for MiG-21 Fishbed based on that. The first Su-7BMK Fitter-A bombers arrived at Lugovaya in 1966. In March, seven new Su-7 was launched from the factory, but only five arrived. Two machines were forced landing during an overflight. One at Irkutsk the other at Semipalatinsk airport. 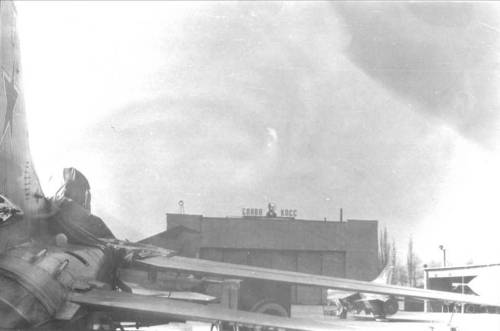 Before the 715th Regiment's instructors trained the Su-7 Fitter at the center in Lipetsk. From 1966 the third squadron used the Su-7 Fitter type. The first and second squadron used MiG-21F-13 Fishbed-C, PF and FL Fishbed-D types. They mainly retrained Arab and Indian pilots. The foreign pilots have not received combat training here. It was only a basic conversion training in Lugovaya. Soviet MiG-23MS Flogger-E export fighter version in Lugovaya airport. In the background the snowy peaks of the Tien-San mountain. The school of Frunze stopped the Su-7 Fitter retraining in 1973. Instead, MiG-23s came to Lugovaya airport. The MiG-23BN Flogger-H bombers were delivered by An-22s from the factory. The MiG-23UB Flogger-Cs flew over from Irkutsk airport. In 1974 MiG-23MS export fighters arrived as well. 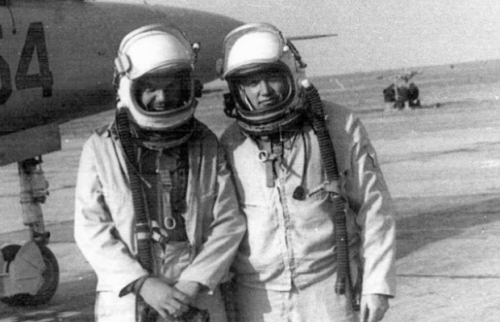 At the time, Arab pilots were retrained to MiG-23BN Flogger-H bomber and MiG-23MS Flogger-E fighter types. The first Warsaw Pact pilots arrived in 1976. The Bulgarian crews received retraining to MiG-23BN Flogger-H bombers. 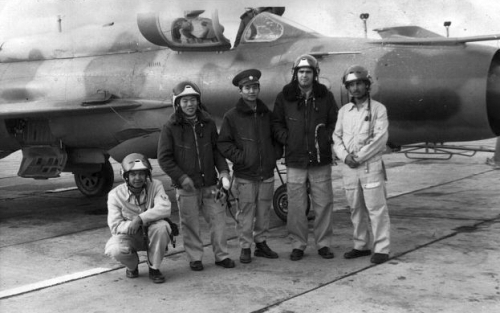 The photo shows pilots in Bangladesh with their Soviet trainers in front of a MiG-21MF Fishbed-J at Lugovaya. 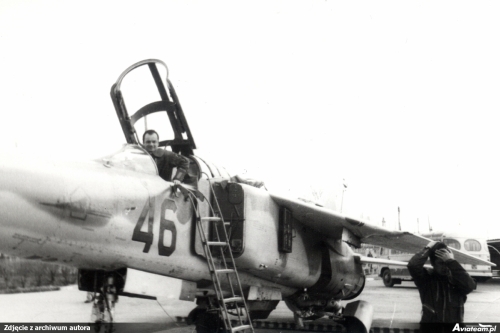 From 1978 the retraining of the Warsaw Pact instructor pilots and ground crews began to MiG-23MF Flogger-B type at the 715th Air Training Regiment at the airport of Lugovaya. 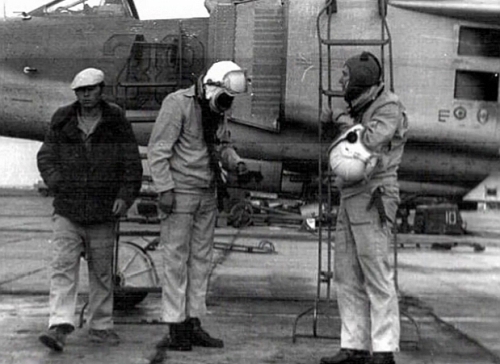 In 1978, Bulgarian, Romanian and Czechoslovak, in 1979 Polish and Hungarian crews learned in Kazakhstan. 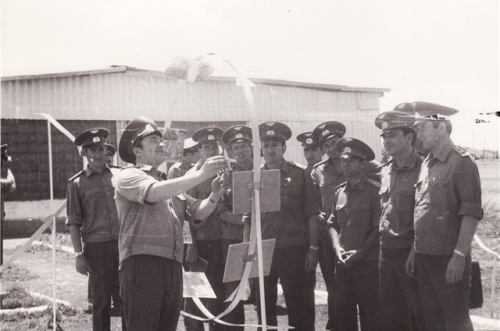 The Central Asian environment was unusual for European staff. The bad public safety, poor care, desert, venomous snakes and the spartan conditions was a culture shock for the Europeans. 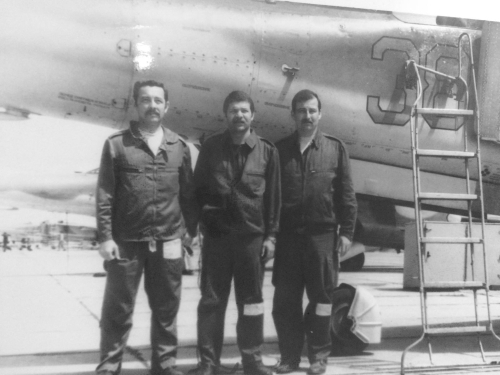 Two Hungarian and one Soviet pilot by theirs MiG-23MS Flogger-E export fighter version in Lugovaya airport in 1979. 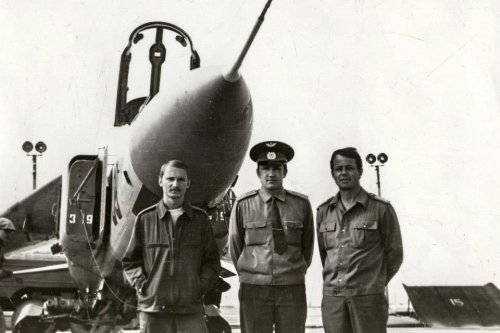 Soviet pilot and ground crews crews next to theirs MiG-23UB Flogger-C training aircraft in Lugovaya in 1979. 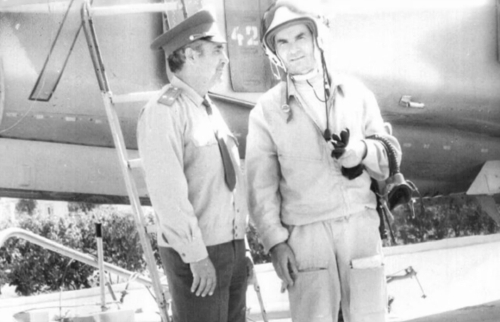 Two Hungarian and one Soviet pilot in front of theirs grey coloured MiG-23MF Flogger-B export fighter version in Lugovaya airport in 1979. 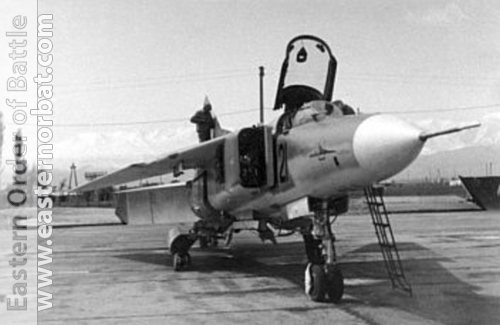 At the end of the seventies, the MiG-23MS Flogger-E variant was gradually changed to MiG-23MF Flogger-B type at the 715th Air Training Regiment. 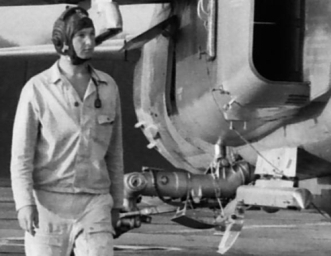 In 1979, there was only a single MS aircraft at Lugovaya. 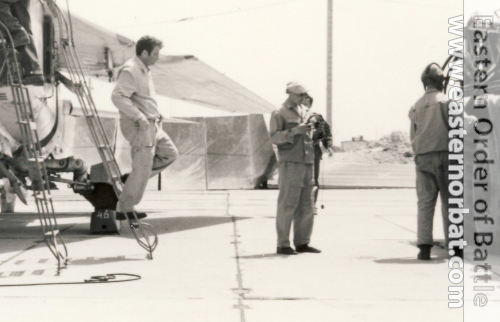 Only one squadron was equipped with 12 combat (MF or BN) and 20 training (UB) aircraft. 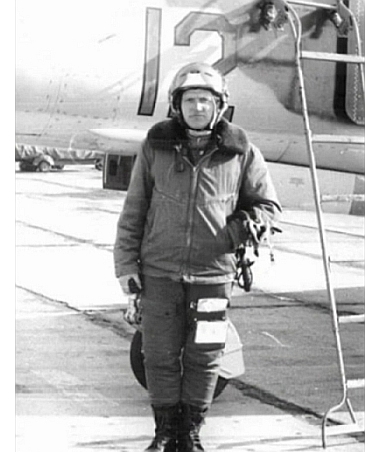 Probably: Polish pilot in his MiG-23M Flogger-B in Lugovaya in 1979. 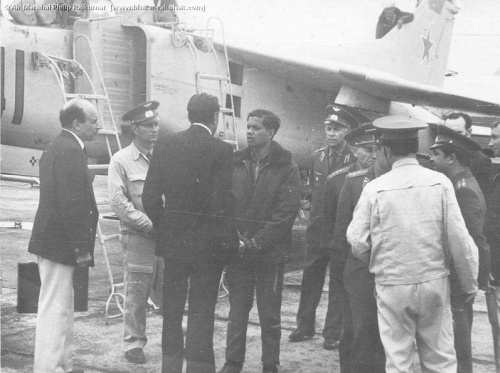 In 1979, the Indian Air Force delegation was flown to the Lugovaya training base in Kazakhstan. 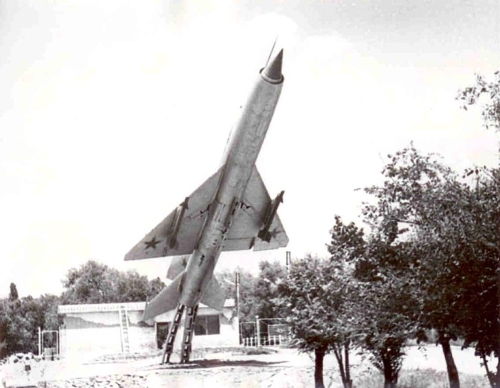 They tested the MiG-23 Flogger type. Then, more than 150 MiG-23BN/MF and UB variant has been bought in the first half of the eighties. With these, five fighter-bomber and two fighter squadrons were equipped. 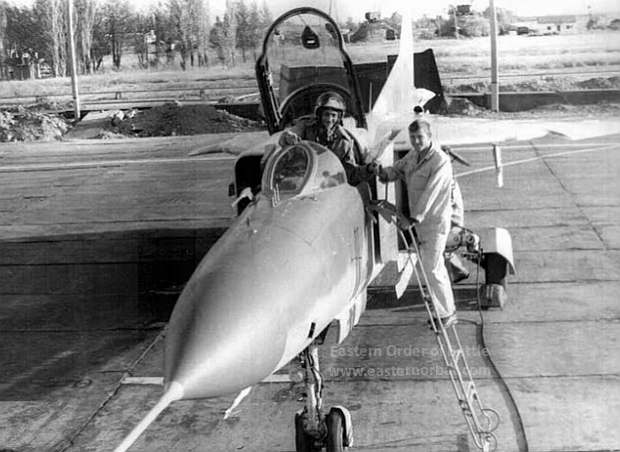 In autumn 1980, started the retraining of the Indian pilots and ground crew to MiG-23BN Flogger-H type.